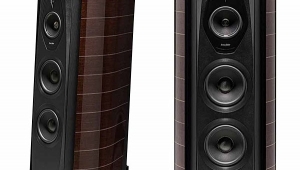 It was therefore with a good deal of respect that I approached the job of reviewing the original MartinLogan CLS full-range electrostatic loudspeaker some three years ago (Vol.9 No.7). 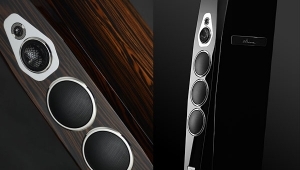 One of the most eye-catching loudspeakers I had seen, the CLS promised much in the way of sound quality, which is why I was ultimately a little disappointed. For a speaker to attempt greatness and fail, even by a little, is perhaps more disturbing than one that aims lower and succeeds. 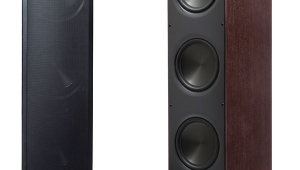 Though originally priced at $2500/pair, the CLS has been considerably revised since 1986 and now costs some $3500/pair in its CLS II incarnation, leaving the Sequel II to occupy the $2500 position in MartinLogan's product lineup. 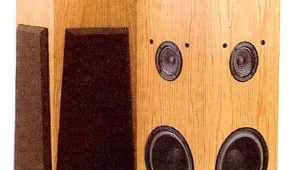 The original Sequel was introduced in late 1987, and featured a tall, narrow electrostatic diaphragm crossing over to a reflex-loaded moving-coil woofer at 125Hz. Lewis Lipnick reviewed it in our December 1988 issue (Vol.11 No.12), and was somewhat ambivalent about its ultimate merit. While enthusing over its ability to throw a well-defined soundstage and finding its balance "clear but distant," he was worried by a lack of visceral impact. 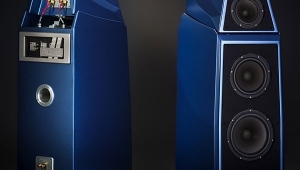 MartinLogan must also have been not totally happy with the design, as just a month after Lew's review appeared in print, the Sequel II made its debut at the 1989 Las Vegas WCES. Identical in appearance to the first Sequel and using what appear to be identical drive-units, the II is considerably different under the skin. 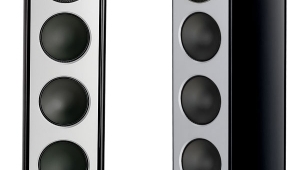 The midrange and treble are still handled by a gently convex, push-pull electrostatic panel, 48" tall and 10" wide. 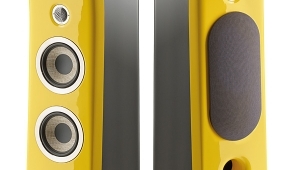 As with all MartinLogan's panels, this is curved to minimize the sharp treble lobing in the horizontal dispersion pattern that occurs when a diaphragm is larger than the wavelength of the sound it is producing. The stator elements are the black, perforated metal screens in front of and behind the transparent diaphragm. Though these carry several kilovolts of potential, the black paint is an effective insulator up to 10kV, eliminating any risk of shock. 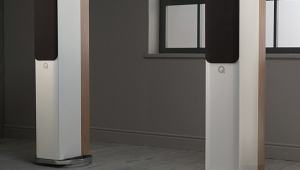 It also prevents the arcing at very high levels that hobbles the performance of electrostatic speakers with uninsulated electrodes, the Quads for example. Though sufficiently rigid to be formed into the requisite 30° arc shape, the diaphragm is said to weigh less than 1in3 of air and is coated with a low-conductivity material (copper oxide and palladium) to ensure constant-charge operation. Horizontal pads split the moving element into ten individual, different-sized areas, thus spreading their resonant frequencies. The woofer is a 10", long-throw, plastic-cone unit, with what appears to be a mass-loading disc in place of a conventional dustcap. In contrast to the earlier Sequel, the driver is mounted in a sealed-box enclosure rather than being reflex-loaded. 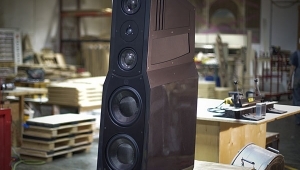 The sides of the bass bin, which is finished in a nubbly matte black paint, extend to the top of the speaker, tapering as they go to provide a variable degree of baffling to the electrostatic panel. Whereas the original Sequel featured first-order crossover slopes, with the out-of-band rejection steepening to 12dB/octave, well away from the actual crossover frequency, the II's crossover is a symmetrical, second-order, 12dB/octave type. It is mounted on a printed circuit board carried on a metal tray that sits on top of the woofer enclosure. This also carries a board to supply HT to the stators by means of a diode/capacitor ladder circuit. Component quality is excellent, with air-cored coils and polypropylene-dielectric capacitors. The audio input transformer, used to step up the drive to the level required by the electrostatic panel, is supported by a foam block and is said to be made from high-quality materials and epoxy-dipped. Electrical connection is via two pairs of five-way binding posts on the right rear of the crossover tray, immediately above a small rocker switch that reduces the woofer level by 3dB, this apparently achieved by inserting a series power resistor in the drive-unit feed. The AC input is on the left rear of the tray; the speaker has to be powered from the wall line, of course. 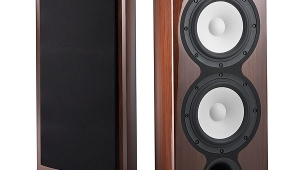 As is sometimes the case with components that we consider significant, we bought the review pair of Sequel IIs. 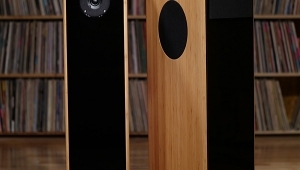 They should therefore be considered typical of MartinLogan's production and not handpicked with this review in mind. Although some users will prefer to use the glide feet, the Sequels proved to be unstable on my carpeted floor, only a slight push being required to tip them forward. I therefore replaced the glides with the spike feet, these coupling to the tile-on-concrete floor beneath the carpet. 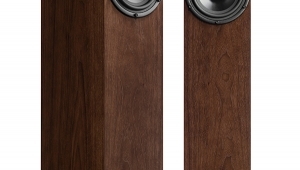 Not only do these enable the speaker not to make any indentation on the carpet, I found that, as so often is the case, they usefully tightened up definition in the upper-bass region. 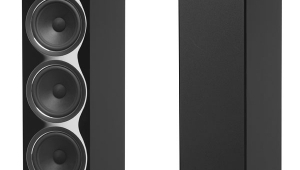 Positioning the Sequel IIs for the best sound was not a simple matter: they seemed to be very sensitive to a number of factors, including the distance between the speakers and the side and rear walls, and the angle of toe-in. I started off my listening with the speakers 5' from the rear wall (which is faced with books and LPs) and 6' from the side walls (also faced with bookshelves). The tonal balance was thin, however (as will be discussed); I then moved the speakers to 3' from the rear wall. This did compromise the superb imaging specificity, however (more on that later).